LASIK eye surgery is a vision correction procedure which has been treating people for long and short sightedness for almost two decades. It involves reshaping the cornea using computer guided lasers. Despite improvements over time to the technology and the technique, the first recipients of LASIK eye surgery in the 1990s are still seeing with clarity. “LASIK is an FDA-approved procedure… if there were long-term issues with the procedure; the FDA would pull the procedure off the market, right? And that is absolutely not the case. In 2008, Spanish researchers undertook a Lasik long term study of 70 patients who had received LASIK surgery in the last ten years. Their findings showed that the patients’ corneas were largely healthy and vision remained good – the risks and side effects were minimal. This study underlining how safe Lasik surgery is was highlighted in an article published on wembmd.com. Short or near sightedness is often corrected using LASIK eye surgery. Most of the 18 million LASIK surgeries performed are to correct short sightedness, or myopia as it is known in medical circles. As time has passed, severe myopia is more likely to be treated using a Lens Replacement treatment or an implantable contact lens (Visian ICL) rather than LASIK. This is not due to safety reasons. 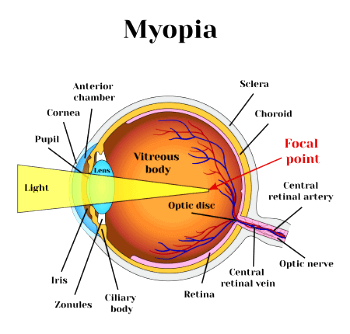 It is simply that replacing a natural lens with an intraocular lens, or adding a new lens implant, has become very effective at correcting severe myopia. So if you had LASIK surgery in the early days, there is a high chance that you will still be reading and enjoying your life now and in the future as you were at the turn of the century. Dr Werner pointed out that improvements in the procedure had also resulted in better vision for most patients. During LASIK, a flap is created in your eye using a laser. When the procedure was first introduced, a small blade would be used to make this flap. Switching to the laser has made the flap less prone to complications. Despite the reshaping of our corneas, aging is something that LASIK cannot defeat. For everything else however, LASIK is a good choice to help you see better. Interested in LASIK Eye Surgery? If you would like to find out more about LASIK laser eye surgery at Advanced Vision Care and join the other 18 million people who have better vision, then why not call AVC TODAY on 0800 652 4878 and request your free information pack or book your consultation to find out how we can help you.